It's Fun, Doable, and It Burns! -- This is Curves! First of all, I'd like to thank Curves International for sponsoring this post! I honestly had never heard of Curves until a few weeks ago when I received the invitation to come experience their Curves Circuit in celebration of their 25th anniversary. The name "Curves" sounded appealing to me, because it indicated their focus on women's body. And I was right! As soon as I walked in to one of their ladies-only studios in Dallas last Thursday, I was greeted by all-female trainers, who were not intimidating at all! You can see how the exercises have worked on different women with different body types and age groups. We did a little walk-through before we started our circuit, but I honestly couldn't remember how to use each machine. But it's okay! The trainers were there to remind us, instruct us, and even motivate us as we exercised on each machine. I love how supportive and passionate the staffs were about it all! What I LOVED the most about the experience thoughis the fact that I got to only stay on each machine for 30 seconds. So, as hard as it was to work out on some machines, it felt doable because it was only 30 seconds. The whole circuit lasted for 30 minutes, combining strength training and cardio exercises that really burn! 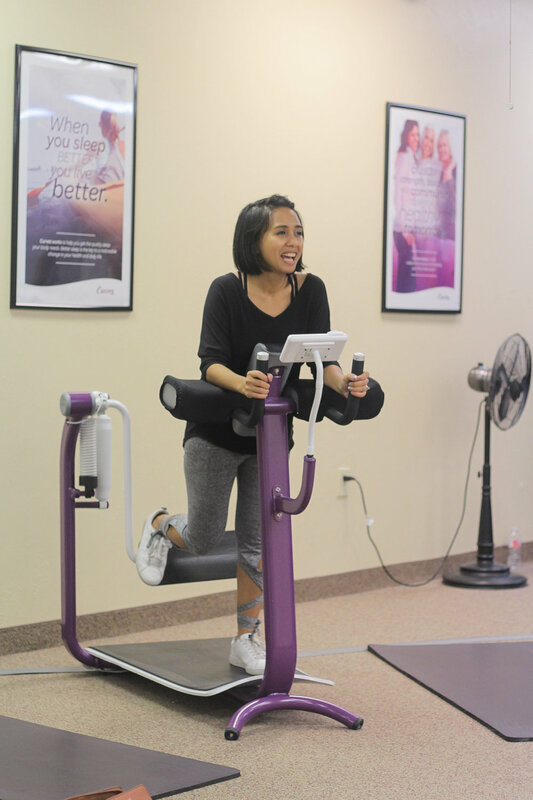 With upbeat music pumping through the speakers, quick machine swaps in between songs, and a group of women cheering you on, you wouldn't feel like you were working out at a gym. We came, we saw, we conquered! Now, it's your turn to get #CurvesStrong!! You can try it our for 30 days for FREE by clicking here. If you'd like to learn more about their fully integrated and personalized weight loss solution, customizable meal plans and one-on-one coaching and support, click here :) They have 4000-ish locations all over the world, so check and see if they have one near you. Don't forget to follow them on fb to stay up to date on events and giveaways!